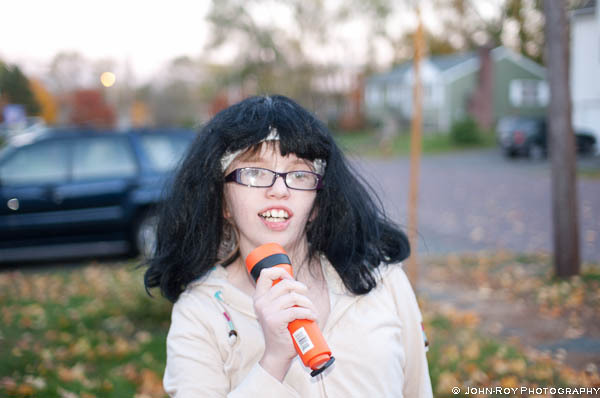 My little girl went out as Selena Gomez for Halloween. She loves going out and getting free candy. Just like last year, she went out with her neighbor, Simon. Carin gave up on her wig b/c it kept falling off.